The recommended age to start Canicrossing is between 12 months and 18 months. Small breeds can reach adulthood at around 9 months and large breeds up to 18 months. It is important to allow your puppy to grow. In the meantime you can slowly introduce canicross concepts such as hiking out in front and directional commands. Check out our canicross commands page for more information on directional work. What Equipment Do I Need For Canicross? The running belt is what you will wear. Some people prefer the running belt to sit up high. We would recommend a running belt that pulls from hips and bum rather than the lower back. The hips and bum are a stronger part of your body and is a more stable platform for the pull of your dog. 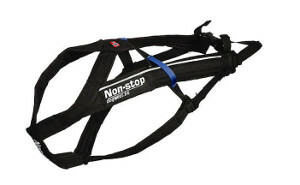 We would recommend the Non Stop Running Belt. We have tested many running belts and have found this belt to be the most efficient and of high quality. The only downside is the pocket is very small for storing items. On top of the belt we usually wear a bum bag as well to store our items such as phone, car keys and a small water bottle. No doubt this is the most important kit in Canicross. Your number one concern is safety and comfort for your dog whilst he/she is pulling. An inferior harness will incur rubbage so do not buy a cheap harness. Again our recommended brand is Non Stop, however there are other alternatives such as Dragratten and Kisi. Non Stop fits most dogs, however some irregular shaped dogs need a different brand. Check out Non Stops fitting guide further down this page. The Bungee Line is the umbilical cord between you and your dog, they come in 1m to 2.8m running lines. Starting out we would recommend a parkrun line which is a 1m running line. You can be more flexible where you buy the line, just make sure it is a bungee line and has good flex in it to absorb shock. We Would recommend getting a bum bag so you can store your car keys, mobile phone and poo bags. A bum bag that is cushioned and can be adjusted will do. Most Canicross events are cross country on slippy terrain. Trail shoes are a must. Shoes are the most complicated part of running, there are shoes we find comfortable and work for our body, but may not work for you. Personally we use Altra minimalist trail shoes, however these may not work for your body. Finding the right shoes is important, our advice is to listen to your body if you buy a pair. If you feel abnormal pain in the achilles, heel or lower limbs, switching shoes may help. If in doubt visit a foot specialist for recommendations. We always start off cold when running. Not unless it is a trip in the mountains you don’t need to wear loads of layers. On a rainy winters day a t-shirt and a light wind protector is sufficient for your upperbody. 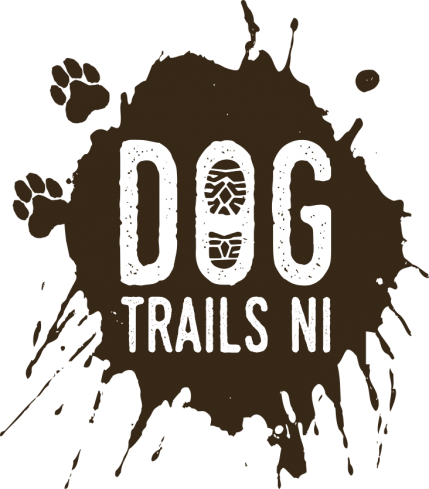 If you are going to a Canicross event it is vital to bring warm clothing and waterproofs as you will be standing about socialising before and after the event. Check out the videos below for fitting advice. There are many reasons to canicross besides running. Click below to see the reasons we love canicross so much and why your dog will love you for it.  Check out our Canicross blog where you can find useful information on everything Canicross. Finding a club near you is now the next stage. Use google by typing in the word Canicross and then your location. You can also try searching on facebook for pages that exist for clubs local to you.